I am looking for a companion and have narrowed it down to two breeds: Goldendoodle and Poodle. I initially had decided to go with the Poodle because I knew that was a large breed that did well in apartments (as that will be where it lives, haha). Recently, though, I've learned that Goldens can do well in apartments too, if properly exercised. I've always thought that Goldendoodles are probably the cutest dogs in the world, and if I can have one, I am interested in the prospect of getting one. Just to clarify, I am getting a dog as a running partner. I am a moderately slow jogger who would do well with a companion, and I spend a lot of time at home studying (college student). This dog will probably be alone for about four hours out of the day, and will be loved to death when I am home. I'm also getting a kitten to be his proverbial litter mate to keep him company while I'm away. So, I'm looking for suggestions! Pros and cons of either breed would be greatly appreciated. I really can't decide which one I want, or if they are too closely related (temperament-wise) for it to matter. If shedding is an issue, go for the poodle, you know that a poodle will not shed. I don't know about goldendoodles, I do know a few labradoodle owners though. 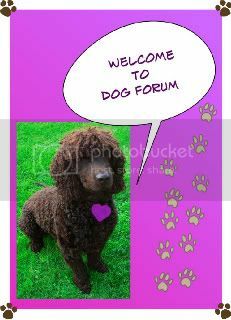 If you are a jogger then a standard poodle will keep up with you (they also like the water, can you let it swim?). I've had many poodles in the past and I have no complaints about the breed at all. They are biddable, intelligent and affectionate. 4 hours isn't too long to leave a dog, but you will need to make sure it doesn't have separation anxiety as you live in an apartment. The Goden doodle is a cross between a golden and a poodle and as a cross you do not know what features from each breed will be the dominant ones. I feel its better to stick with the poodle as you know better what you are getting. Good kuck and do keep us posted. 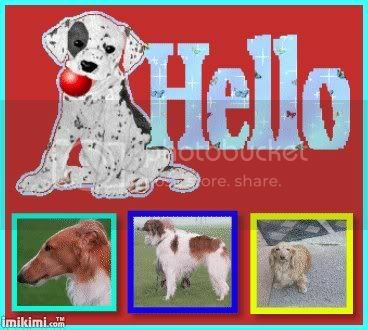 Last edited by Borzoi mad; 11-24-2008 at 03:18 PM..
Hi Pushi and welcome to the forum. I am a slow jogger and my purebred Golden Retriever is a great partner. She came from a rescue. Her trot is about my jogging pace (I do about a 9 minute mile) and she has no problems at all with endurance. A Golden would certainly appreciate being loved to death too. Easy for me. Poodles are a breed. Goldendoodles are a mixed breed - not a breed at all. And you pay outrageous prices for a mixed breed - a scam here in the US. The reason they aren't a true breed is exactly what Borzoi Mad said. If you've studied genetics in college yet, you'll understand. You can't say that when you mix one breed with the other, all the puppies will have the same characteristics. They won't. You don't know what you'll get. Yet you pay extreme prices for it. With a poodle from a reputibile breeder, you will know pretty much what type of dog you're getting because the genetics will be more stable and more easily passed from generation to generation. You're paying for those stable genes and the dog's pedigree. That's why goldendoodle breeders are a scam. They're charging you for a mixed breed. If you'd like a mixed breed, you might want to check out your local shelter. They have tons of great dogs that need forever homes and might fit your needs perfectly. I've studied limited genetics (still have that upper division course to go, hurrah! ), but I understand the temperamental risk you take when mixing two breeds. However, I figured that since the breeds from which the puppies come are known, the characteristics of them would be expected from either breed. Hybrid vigor (if it exists. Does it?) is also a pro for the mixed dog. I like Goldens and Poodles, so a mix of the two wouldn't be a big deal for me... The only reservation I have is that I don't want my dog jumping all over the place all the time! Is there a huge disconnect in the Poodle's temperament and the Golden Retreiver's? From what I've read, I have a great affinity for the Poodle's temperament. About shelter pups: I know I probably shouldn't be paying 1300(!) dollars for a mixed breed, but knowing exactly where the dog comes from is a big deal for me. I need to know my dog can live in an apartment, and would like to know why my dog does certain things, or what behavioral problems I should expect. However, I am not as educated on how shelters work (if they tell you the temperaments or possible genealogy), so maybe I should look further into it! What do you think? They are a wonderful breed,full of energy and love!.If it is for allergy reason,I would go for this breed,no question asked!. Remember:a DOODLE is just an OUTRAGEOUSLY EXPENSIVE MIXED BREED!!. Last edited by HovawartMom; 11-24-2008 at 03:47 PM..
like skunk said will happily keep up with you when jogging, if trained right happily left alone and with love you to death back. I never had a poodle, but know there a high intelligence breed and can be a little hyper, so may not be ok to be left, but as I say I not shared my house with one so could be wrong here. I would never get a deliberate cross, as fare as I am concerned if your dog hip scores and other health test's are good them they should be used in there own breed. I don't know what it like in the US but if you do get a golden make shore it has good tempriment breeding as this is something thats being lost. The hybrid vigor assumption is questionable in the case of mixed breeds. The reason is that unlike the care we take for things like tomatoes and corn, there is a lot of sloppy dog breeding going on in the US. If all breeders were careful to cease breeding lines which carry known hereditary genetic ailments, then you could breed anything with anything together and be reasonably assured that neither parent would be contributing genes which carry disease into the offspring. Well, ok, not anything with anything. I overstated it a little. As lng as a breeder is doing health screening on both parents then I for one can live with mixing and matching. However I also have strict dieas of what constitutes health screening and it involves keeping up with all the relatives of the animals in question. Optimum breeding age may start at say 2-3 years of age, however many genetically carried diseases do not show up until later, say 6-7 years and beyond. If the breeder has not kept up with the health of the overall line, then there can be several litters before it is too late. Whoever you get a puppy from, my advice is to be practically obnoxious with questions and insist on proof of health clearances. If you get the feeling they are starting to give you the shuffle and jive or get indignant, give up on them. My PB Golden has already had one bout with cancer and she got off lucky. Many Goldens do not. A good breeder will also insist on giving you the third degree to make sure you are good enough to take on one of the lives that they have created. If they don't and you get the feeling they just want a delivery address and a credit card security code, they are not worth your time.